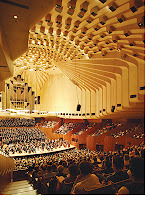 KIconcerts: An invitation to sing at the Sydney Opera House! This sounds like a fantastic opportunity for solo singers and choirs. I am in a choir in the UK and thinking of approaching them with the idea of some, or all perhaps, of us coming to Australia and participating in this event. It’s a-once-in-a-lifetime experience for most and I am really excited about it, especially seeing The Sydney Opera House. I’ll let you know how I get on!